ALMA International is dedicated to electroacoustic and audio professionals from around the world. Our Members include some of the biggest audio companies on Earth as well as small to midsize companies including cutting edge start-ups. ALMA wants to help our Membership to communicate what you are doing. New products, initiatives, services? Let’s get the word out! 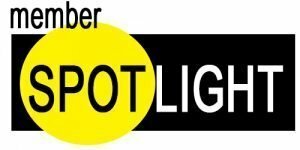 ALMA International’s Member Spotlight will focus on one of our Members with a featured article, photos, and information to help the industry notice, and find you! Just fill out the application at the link on this page. Our Board of Directors will review and choose the winning Spotlight each month. It’s a FREE service to our Members. Apply today! Just fill out the brief Member Spotlight Survey at the bottom of this page! ALMA Member Justin Zazzi Credits ALMA for His "Dream Job"
When I am asked where I work, I can honestly say I work at my dream job. It always takes me a moment after, but I get the biggest smile on my face when I realize that I *really do* have my dream job! Acoustics is my passion and I was halfway through college before I realized I could make a career from it. After attending ALMA’s signature event, AISE (ALMA International Symposium & Expo) a few years in a row I was encouraged to make a presentation at next year’s event. The presentation turned into a wonderful panel discussion on the future of car audio where I shared the stage with some great thinkers in the industry. I represented the DIY and hobbyist community during the discussion since I have been heavily involved in the community for many years. Employers in the audience quickly noticed that I was thoughtful, passionate, and articulate, I quickly received offer letters from two companies for a summer internship that year. I spent the summer in a state on the other side of the country from my home town, in complete disbelief that I was getting paid to play with speakers. People say if your job is your passion you will never work a day in your life, and I can confirm this is true. I am now a product design engineer at Eminence Speaker Company in Kentucky. It sounds cheesy but I truly believe ALMA was the missing link between the song in my heart and my dream job, and I am so fortunate and thankful to have found it! HEAD acoustics Inc is pleased to be exhibiting at AISE2019. As always, we are prepared to discuss all things audio and voice, but this year we will be focusing specifically on wearable products and smarthome devices. 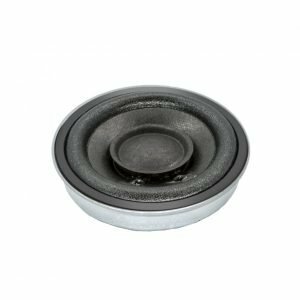 These products lay at the intersection of voice and audio and are extremely popular. We have 1 seminar and 2 papers planned, so please circle those on the AISE 2019 program and attend to learn more. Additionally, please come find us in booth C to learn more about what we do and how we can help you! Stetron is pleased to announce the promotion of Robert Nowak to Technical Sales Associate. Robert will be the lead outside sales representative for accounts in the USA North East and Mid West. With over 20 years of experience managing customers from an inside sales role, Robert is well positioned for success. He can be reached for sales inquiries at 716.854.3443 Ext 121 or via email robert.nowak@stetron.com. ALMA welcomes all corporate and consultant members to go to https://almaint.org to apply to be featured in our member Spotlight.